204 (16 July 1944), 205, 209, 210, 211, 212, 213, 214, 215, 216, 217, 218, 224, 227, 228, 229 (15 August 1944. For Mission dates, targets and Mission Reports, see Combat Missions. 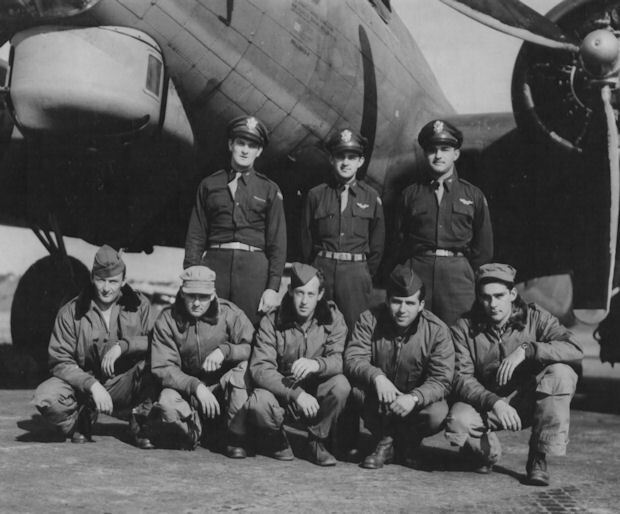 2Lt Solomon Goldfield (N-POW), S/Sgt Paul P. Carissimo (E-POW), S/Sgt Robert H. Neidringhaus (R-POW), Sgt Fred O. Byrd (BT-KIA), Sgt Arthur W. Schulz (TG-POW) Flew on all 16 of the 2Lt Charnick crewmen missions. 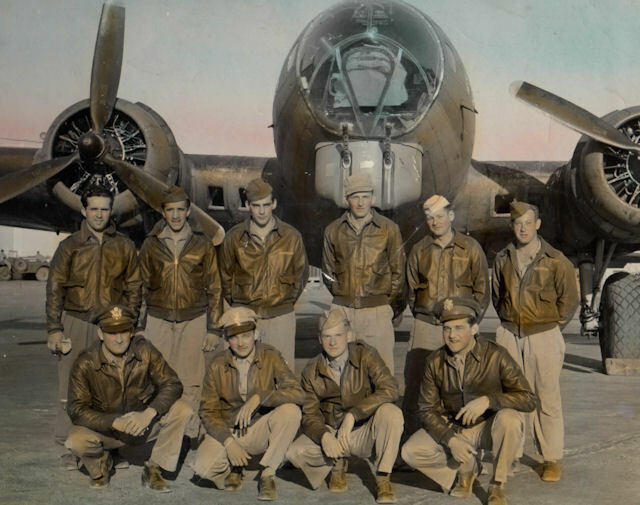 2Lt Lowell L. Rickey (B-Evd) - Only flew on one mission with the 2Lt Charnick crew (229) - Flew on 18 additional missions with other crews - 159, 160(DLC), 164, 167, 170(LC), 171(LC), 172(LC), 174(LC), 183(LC), 190(LC), 201(LC), 203(LC), 209, 218, 221(LC), 225(LC), 226, 227.